. Published on August 23, 2012 . Ever wanted to transform your daily self into something or someone completely different? Sometimes you just have to give in to your oddball cravings to be different. 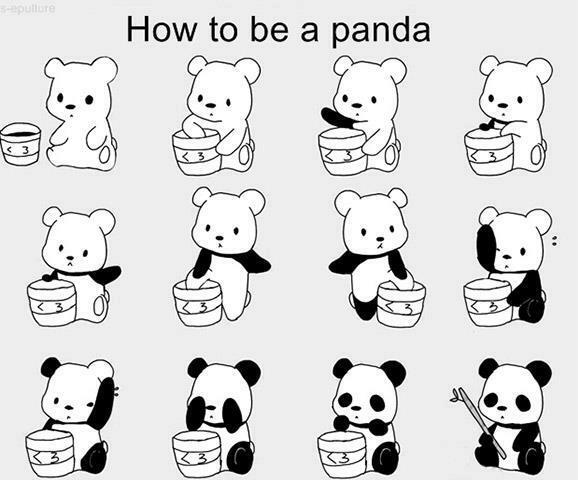 Take being a panda bear for example. It could be a good idea for a change. Maybe it’s either easier said than done or a lot easier than it looks. Either way, it’s just something for fun. When you’re finished transforming yourself into a panda bear, you may want to try your hand at some panda games. And, since you’ve already set the mood by being a panda and playing panda games, why not go a little farther and get some bamboo clothing for you and your family. Trust us, panda or not, you won’t want to wear anything but bamboo ever again.